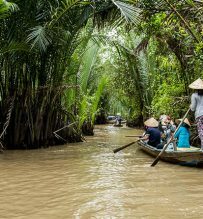 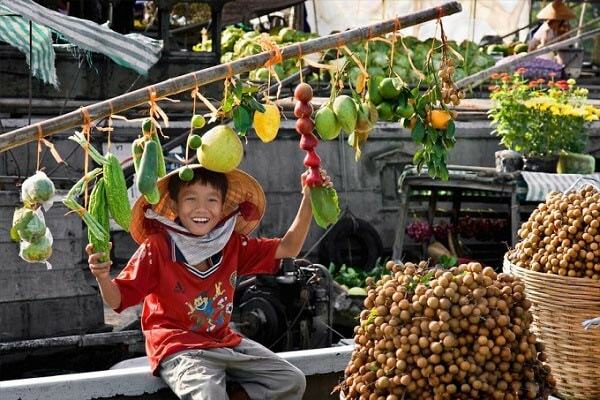 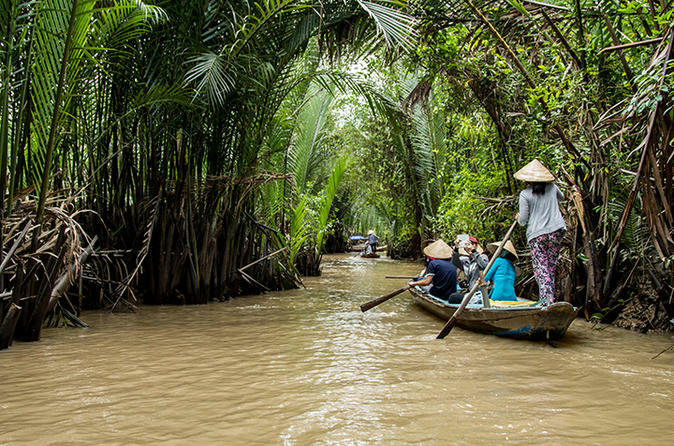 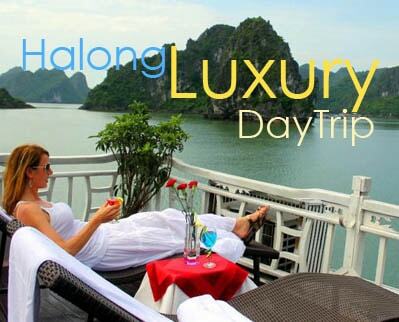 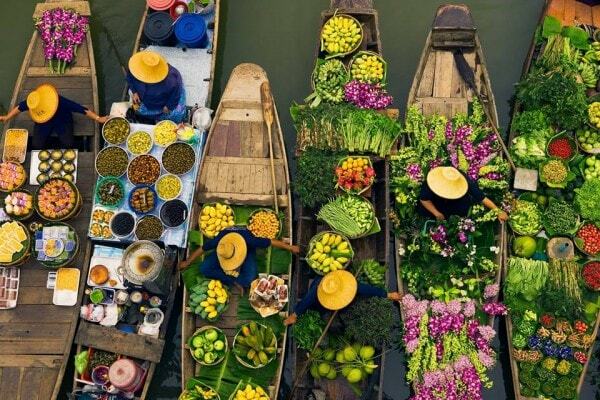 Day tour to visit the busiest Cai Be Floating Market in the Mekong delta region of Vietnam, admire boats filled with fruits, vegetables and other products anchor a long the banks of the river, waiting for traders and customers. 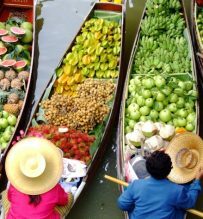 The merchandise sold in each boat is hung on a high pole in front of the boat as a sample to attract customers from a distance… it’s a colorful and exciting scene. 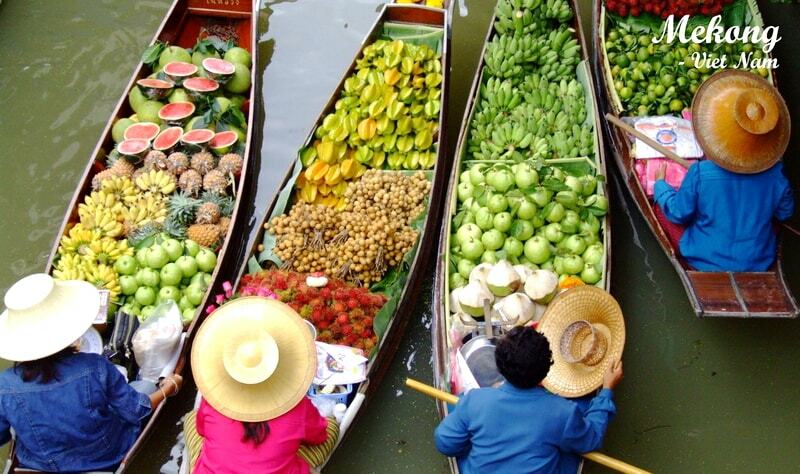 Explore amazing Cai Be floating market, interact with local people. 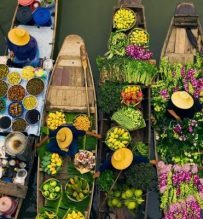 Visit handicraft villages, learn the process of making rice cakes, pop rice cakes..
6.30-7.00 Pick up at your hotel in Ho Chi Minh City and go ahead to Vinh Long on Mekong delta. 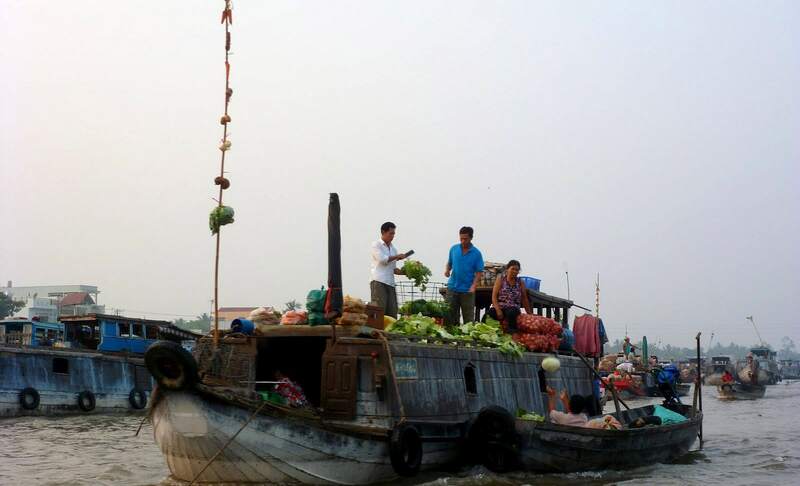 On arrival, set off by motor boat to visit Cai Be floating market – one of the most colorful and typical markets in Mekong region, and watch the locals trading fruit and many other commodities on board their vessels. 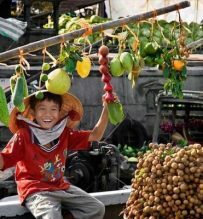 Visit nearby handicraft villages, learn the process of making rice cakes, pop rice cakes and pay a visit to coconut candy workshop to enjoy the little brown sweets served with tea. 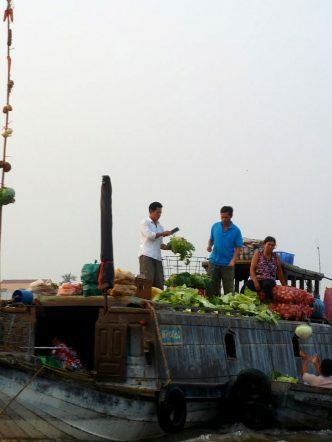 End the tour in Saigon around 17.30.